Many ash'aar have become part of our conversation but who penned them is not so widely known. 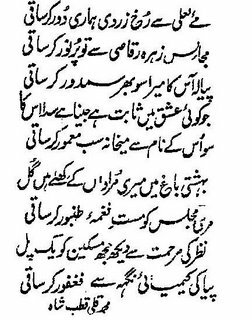 Also, instances where one misra (stanza) got popularity while the other stanza was forgotten also abound in Urdu poetry. 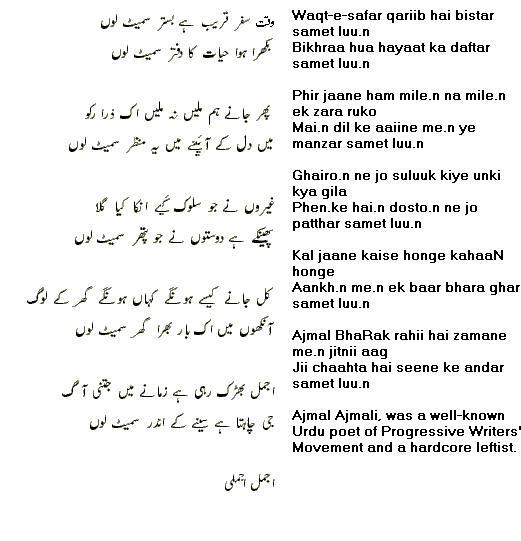 This is Ameer Meenai's couplet. 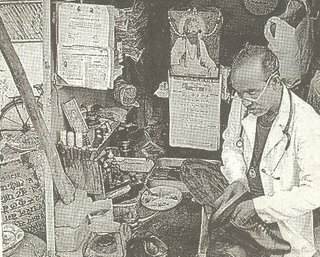 Sahitya Akademi award. Read his verse Kaun? Kabhii kaan me.n aa ke chupke se kehta hai 'Tuu ab talak jii raha hai? Once again the issue over Vande Mataram [originally Bande Mataram in Bangla] has cropped up. Exactly a year ago there was a similar hue and cry over the issue. First of all, the fatwa is absolutely uncalled for. Everybody is aware of the history of the hymn [song] and the context in which it was written. 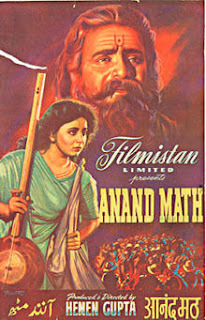 But the strange debates on TV channels and the aggression among self-righteous and jingoistic anchors who are least aware of Bankimchandra and his Anand Math, complicates the situation. How can someone call it 'imposing' the song, they wondered. And then a participant says, 'Hindustan me.n rahna hoga, Vande Mataram kahna hoga' [If you have to live in India, you must sing Vande Mataram]. To set the record straight, Bankim Chandra's novel Anand Math from where this song has been taken was nearly pro-British and fiercely anti-Muslim. It was written a few decades after 1857 but the novel portrays Muslims are outsiders and enemies. Having heard so much about the novel, I bought it a few years back and was taken aback by the intense anti-Muslim pitch and the aim of eliminating Muslims and pulling down all the Mosques and Muslim shrines. It is much more shrill than the present day RSS' rhetoric. In this novel, the protagonists exhort others to kill Muslims, clearly spreading hate.That the novel was written by a Bengali and set in Bengal, the state where both communities shared the same language and culture--much more than several other states, comes as a shock. Hindu revivalism is understandable but not fanaticism and blind hate. It was this reason why not only Pt Jawaharlal Nehru but also Subhash Chandra Bose opposed this hymn. No wonder a socialist like Ram Manohar Lohia called the novel a blot on Indian national struggle because it hailed the British. What about the tens of thousands of Indian who laid their lives for the independence? Just two stanzas of the hymn were approved to be sung in the late 30s in the Congress Working Committee. Unfortunately, Bankim Chandra had done his BA with the Haji Mohsin Fund but wrote such a fierce anti-Muslim novel. Only the ignorant would term the novel as patriotic. It was basically against the Muslim dominance [population-wise] in Bengal. Otherwise Muslim representation was abysmally low in Bengal. The fatwa would do little good because it will only be construed as the 'kattar-pan' [fundamentalism] of Muslims without giving a thought to this fact that it is a hymn in praise of Goddess Kali. I am not against Vande Matram. But the song shouldn't be forced on anybody, particularly in schools. 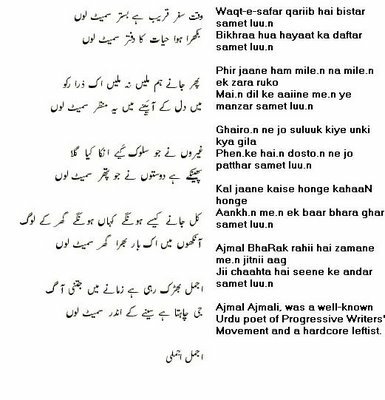 It is no litmus test for patriotism, rather it is a song that comes from a book that praised our colonial masters. Now, if you have any more doubts. The immensely loveable Suha Mujaddidi was a unique Urdu litterateur in the sense that he was just 4 feet. Unless someone knew him, they mistook him for a 10-11 year-old boy. Suha was too fair and looked like chubby child. Owing to his tremendous talent and knowlege he was fondly called Maulana Suha. Another aspect of his life that attracts me was his colourful personality. Once on a visit to Lucknow, the group of litterateurs went to renowned tawaif-turned-radio artiste Gauhar Jaan's kotha. Upon seeing her teenaged daughter, Suha rushed towards her and in a fraction of second entered into her gharara [similar to lehanga]. There was no electricity then and the mother-daughter kept screaming. 'Haai, bhutna ghus gaya hai' [the dwarf devil has entered]. Everybody was laughing and when after sometime they were told that it not a bhutna but a real man, a poet, the former courtesan got relieved. Soon they were giggling. Another eminent cleric was part of the group that had went to the former courtesan's kotha. I wouldn't name him, the fact is that any scholar can be colourful. In fact, his name is taken with utter respect, as he is now considered a great personality among the Ulema [clergyman]. In those pre-partition days Aalims could also be quite funny and interesting. One doesn't need to make a serious or arrogant face if he is a scholar. Now a days, a religious man can't afford to be as naughty or mischievous openly. Suha was married to a tall and huge Pathan woman and he was an exponent of 'gaali' [Urdu laced with choicest Persian expletives]. The Maulana often hurled newly-invented gaalis. When angry, his amazonian wife, often lifted him and make him sit on the high loft in their house. He would beg not to repeat the mistake and when brought down, again started abusing. Khair, Suha was a complex and interesting personality. He often begged women for 'bosa' [kiss]. Often tawaifs and someother elder women who were charmed by his boyish looks obliged him. He never cared for princes, rajas and nawabs and spoke his mind, even abused the mighty nawabs. [Though in a list of Indians who gave innovative 'gaali' Suha can't find a place easily. Nizam, Abdul Rab Nishtar and Hamidullah Khan were on the top of an oral list compiled and reproduced often in Urdu books of the past]. But then the rulers of the erstwhile princely states who played host to him were also aware of his literary stature. Ironically, Suha died in misery. In a government hospital waitinf for medicines and proper medical care. The literary world cried and there was a feeling of outrage. 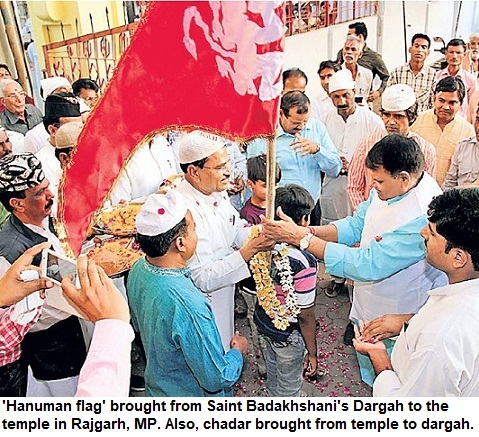 Bhopal Nawab Hamidullah Khan faced lot of criticism. The last rites were conducted by the state. 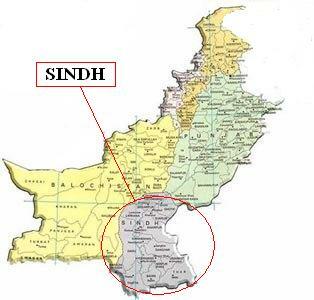 But few remember Suha today. 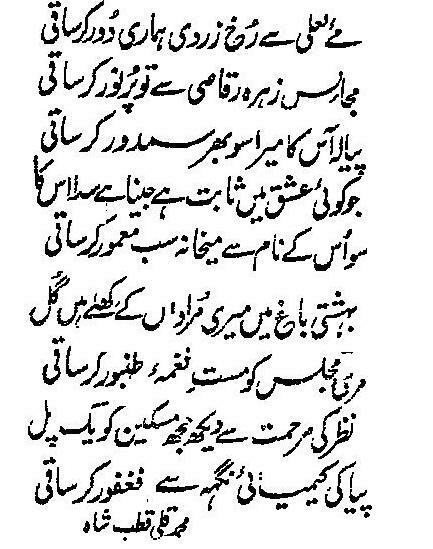 His Sharah-e-Ghalib was a pioneering work in that era. Ah! They were scholarly, they were social, lovable and also had all traits--positive and negative--which humans have. 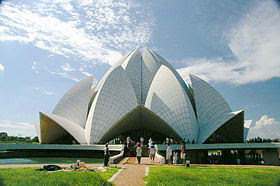 Apart from Lotus temple in Delhi: What else do you know about Bahais? There were Mishra, Patil and Ghosh. All of them were Bahais. People with seeming Muslim names also. That was quite confusing initially because of our notions that we associate surnames to religion. They were born in Hindu, Muslim families but recently turned to Bahaism. As far as Indians are concerned, what we know about the Bahais is that their most prominent place of worship in this country is the Lotus Temple in Delhi. But apart from this, most of us generally have no clue about Bahais and their religion. That the Bahais, wherever they live, have a feast every 19 days and that they assemble at the local Haziratul Quds, is also not known commonly. In every city they have a local spiritual assembly. But when you see a Siddiqui or a Sharma as Bahai, what you make out of it? That confuses many of us. Because in India, we associate names and surnames with religions. 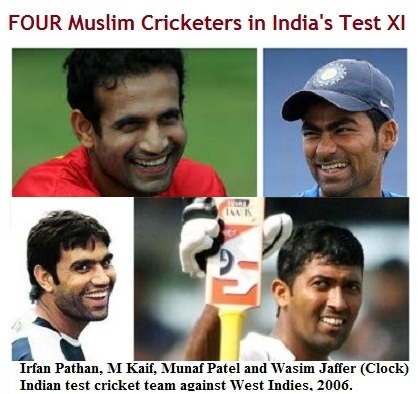 If someone is Rahmat Ali, he ought to be a Muslim and Ramesh Joshi should be a Hindu. Some Christians have Hindi/ Sanskrit/ Arabic names but most of the people can be identified. 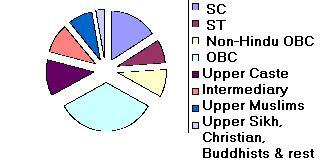 Even Jains are often distinguishable due to their surnames--either Jain or Khandelwal/Shah/Kasliwal/Singhai etc. I find many Hindu and Muslim converts to Bahai faith. The Bahais are under intense religious persecution in Iran. This is a fact. They are not allowed to run schools and kept under state surveillance. That's really unfair. Many, in India, consider them as a sect of Muslims, which they are not--an independent religion. Bahai population is growing quite fast in India though they are not flexing muscles about their population. Hiding faith: Not too open about conversion, growing figures as yet! I have met a few Bahais here and there. Recently, at a programme, to highlight their issues in Iran, a journalist got irked with Bahais. 'You hide your identity', he charged them at a gathering they organised to raise the issue of Baha'i persecution in Iran. "We don't", they said. The journo asked, 'If you believe in all religions equally then why you convert others? ', the debate continued. I don't have any thing against Bahais. If anyone wants to get converted to the faith, he has every right to do so. What I didn't exactly like are incidents like the recent marriage of a Muslim orphan girl to a Bahai family of Muslim names. The organisers, all of whom were highly educated, deliberately mispronounced the name of the girl and hid her surname to conceal that she was a Muslim. At orphanages such things do happen routinely. As far as preaching to an adult is concerned, I am not much interested but incidents like this one are disturbing. The Bahais claim to have followers in every country except Vatican. However, their claims of numbers seem exaggerated. In India they claim a population of 20 lakh [2 million] and tens of millions in the world. I don't think these are correct. But it is quite clear that the Bahai faith may not be growing too fast in Europe and America, but in India, Bahai missionaries are quite active. They are working in rural areas also. However, at state level, there is no recognition of this religion as yet. Christian and Sikhs have also converted. 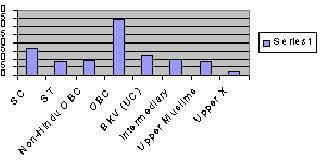 Among the biggest converts, however, are Parsis [Indian Zoroastrians]. Perhaps, this is because its a new faith that brings a new energy for them, and Parsis who are turned outcast after marriage with a non-Parsi, adopt this faith, which also comes from their ancestors' land--Persia [Iran].